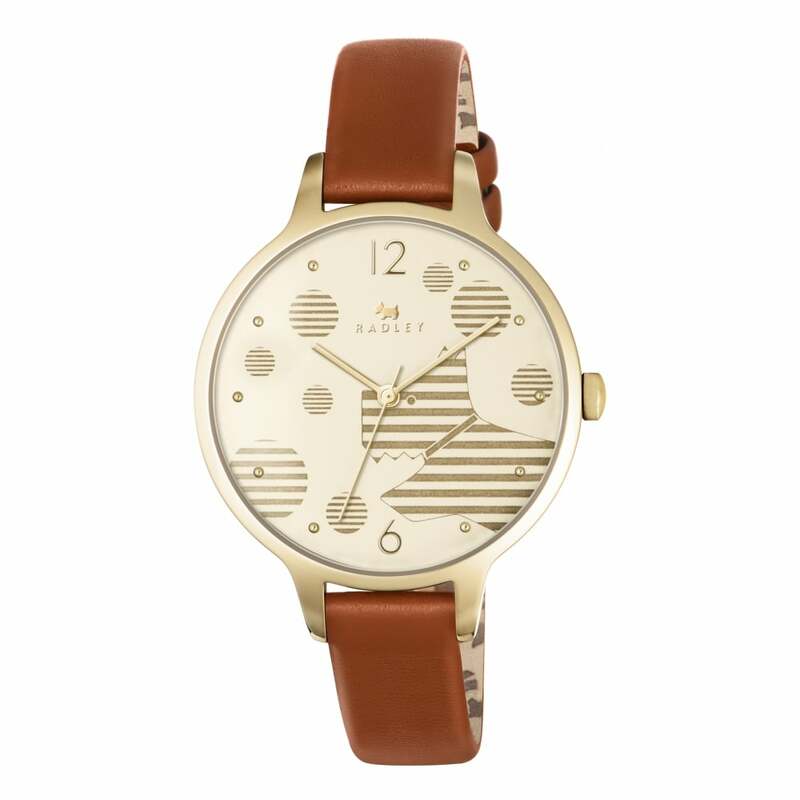 This stylish watch from Radley is a beautiful way to bring a touch of elegance to your look. Our favourite detail is the dial which features the iconic Radley terrier cast in a gold colour. This is given a contemporary twist by the addition of variously sized dots. We adore the stripes in this pattern, which it helps the dial to become a real statement piece. The leather strap is wonderfully comfortable against the skin, and gives the timepiece an understated elegance.